Finally got to see the new Star Wars movie last week which I really enjoyed. 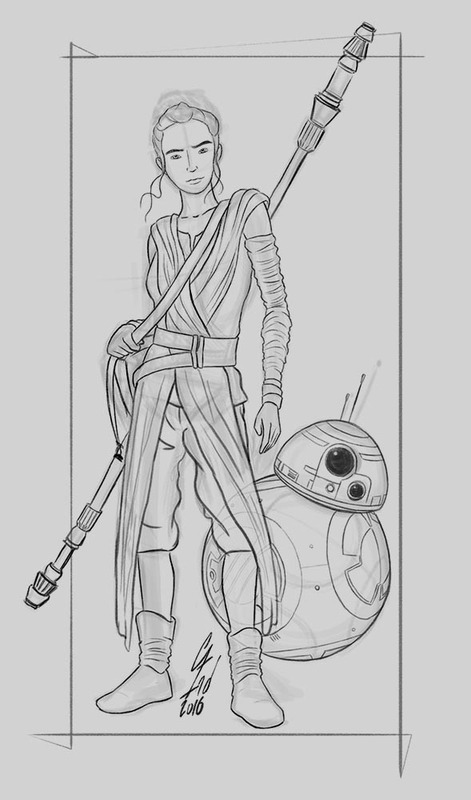 I especially Loved Rey and BB8, so when I was sketching today that's what I started to draw. I quite like how this sketch came out at the moment but I'll sit on it for a bit and come back to it with fresh eyes in a few days time. My intention with drawing this is to paint it up and make a finished piece that could possibly go in my folio.